The ingenious application of modern solid state technology to transducer sensing makes the IPT-1100 Series the most advanced general purpose pressure transducer available. 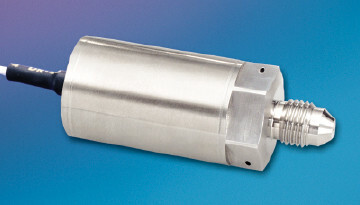 Designed to measure liquid or gas pressure, the transducer is of all-welded stainless steel construction, with integral pressure port and diaphragm. The IPT-1100 provides an extremely rugged, accurate and inexpensive means for pressure-to-voltage conversion. The IPT-1100 Series are ideally suited for a large number of applications in Industry, Process Control, Marine, Automation and Hydraulics. Similar in design to the unamplified IPT-1100 Series, the IPTE-1100 is a 5 volt unit containing a hybrid microelectronic amplifier and regulator within the all welded case.